One Drop is all about options! Learn how to log any moment in One Drop | Mobile by using the dial OR your keyboard. 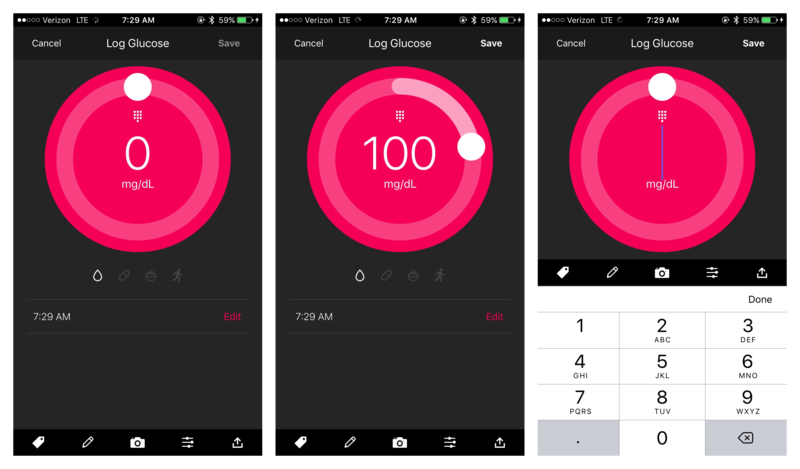 Some users love turning the dial to enter blood glucose or minutes of activity. Others would rather type on the keyboard. Here's how to do both: 1. Tap moment button at bottom of One Drop | Mobile home screen. 2. 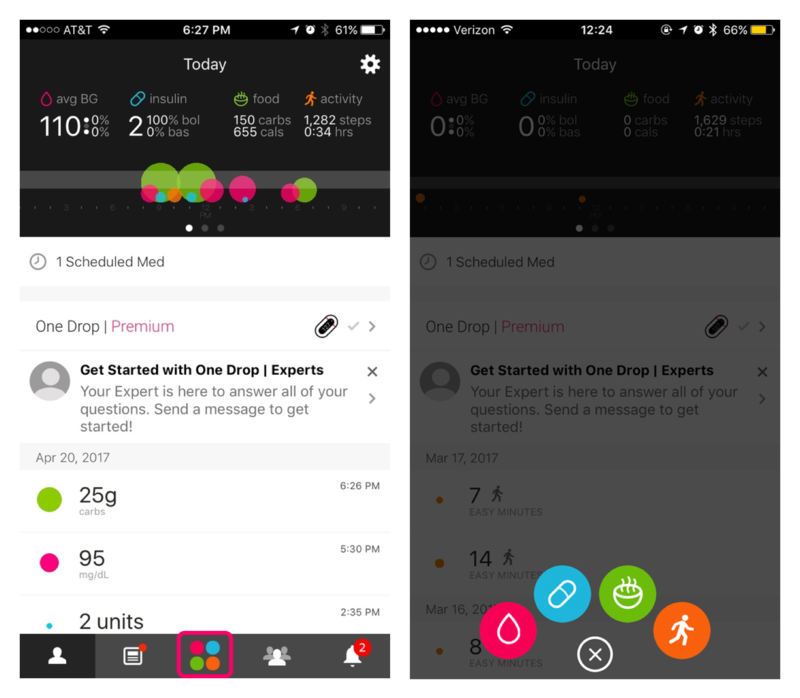 Select your moment of choice (blood glucose, activity, meds, food). 3. Turn the dial by dragging the small white dot OR tap the circle center to type the correct value using your keyboard. Visit our support page to learn more about logging moments, and everything One Drop | Mobile!